It’s finally here: The next-generation console. Except, well, you can’t see the console. As expected, Sony tonight announced the PlayStation 4, the newest videogame console from the Japanese electronics maker. However, no console was shown during the two-hour event. Sony instead appealed to its hard-core gaming audience with a string of new game titles. We know the new PlayStation 4 includes an x86, 8-core AMD “Jaguar” CPU, an enhanced PC graphics processor and a secondary custom chip for background processing of digital titles. It comes with 8 gigabytes of internal memory. And its controller is a DualShock 4 controller with a touchpad and “3-D” camera-tracking. Sony said the console has been in development for the past five years. But, aside from teasing that the console would be available in the 2013 holiday season, no additional details on price or availability were given. There are some interesting new features to the PS4 system. It will offer the ability to “trim” portions of the game and share clips of the games with friends over social networks, in addition to sharing over the PlayStation network. 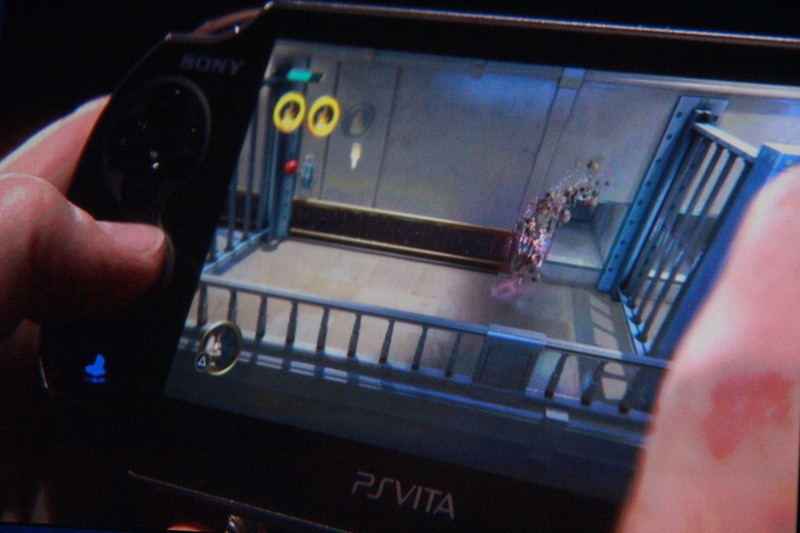 And Sony, perhaps looking to revitalize its not-exactly-best-selling PS Vita, also showed how PS4 games can be played remotely on the handheld mobile device. 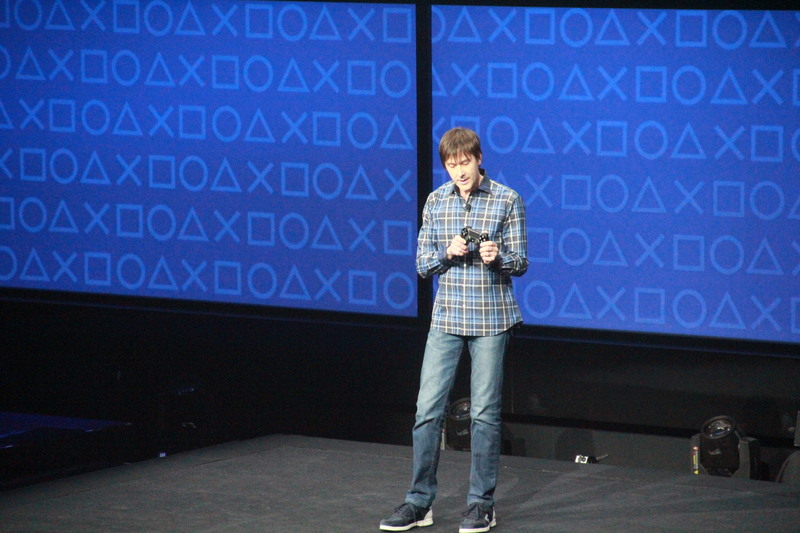 As expected, cloud gaming is also a part of the PS4 announcement: Gaikai co-founder and CEO Dave Perry appeared on stage to discuss how Gaikai, which Sony acquired last year, is being integrated to make game titles readily available in the cloud. Gamers will be allowed to try some titles before they buy. PS4 games can be played remotely on the PS Vita. The company kicked off the event stating that it marked a bold step forward for Sony as a company. “The living room is no longer the focal point of the PlayStation ecosystem,” said Sony’s president and CEO of Sony Computer entertainment Andrew House. Despite that, Sony spent a good portion of its event on Tuesday showing off game trailers for exclusive console titles like Knack, Killzone Shadow Fall and Drive Club, showing more attention toward its hard-core gaming audience than video-streaming consumers or mobile game adopters. Executives from Capcom, Square Enix and Ubisoft also appeared on stage touting new game titles. And Bungie, the game developer behind the popular Halo franchise, showed a new first-person shooter game called Destiny that will be available for PS4 and PS3. The new PlayStation 4 console comes at a particularly perilous time for the traditional videogame industry. Gaming software sales, especially, have suffered due to the rise of cheap or free Web-based games, while Sony, Nintendo and Microsoft have allowed several-year gaps in between new consoles, causing some to question the relevance of the console. 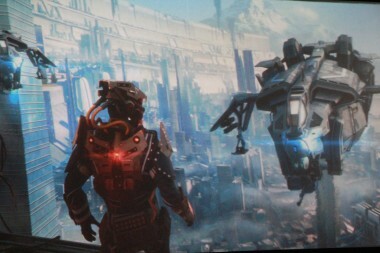 An image from Killzone Shadow Fall, one of the new games exclusive to PS4. Sony to date has sold more than 70 million PlayStation 3 units worldwide, and claims more than 110 million members in its PlayStation Network. But about two years ago, the company suffered a setback when roughly 77 million user accounts were hacked, causing the company to temporarily shut down the network. Sony later said the hack cost the company $171 million that fiscal year. In January the NPD Group, a research firm that tracks videogame hardware and software but not digital sales, reported that the Microsoft Xbox 360 had outsold the other home consoles for the 25th month in a row. But that was a mere silver lining: Software and hardware sales overall were still down 13 and 17 percent, respectively, when adjusted for a four-week month. Microsoft is also widely expected to roll out its own new console, possibly named the Microsoft Xbox 720, this year. Let’s hope Microsoft shows off the actual console at its event. Brought to you by The Wall Street Journal | © 2005-2019 Dow Jones & Company, Inc. All Rights Reserved.